Greek and German police arrested four Greek nationals suspected of being members of an international gang trafficking large quantities of cannabis worth about 265,000 euros, during a joint operation with the coast guard and Thessaloniki’s drug enforcement unit over the past two days, authorities said on Wednesday. Police said they confiscated 266 kilos of raw cannabis hidden in household appliances and food products and two international transport trucks bound for Germany. According to the authorities, the criminal organization imported cannabis from Albania in trucks and then packaged large quantities which they shipped to Germany and other EU countries. The person who organized the transport and received the cannabis in Germany is alleged to be a 58-year-old Greek national who was arrested by German police. Greek authorities arrested a 51-yer-old truck driver, his 48-year-old co-driver and a 61-year-old businessman in whose warehouse police found some of the confiscated cannabis. 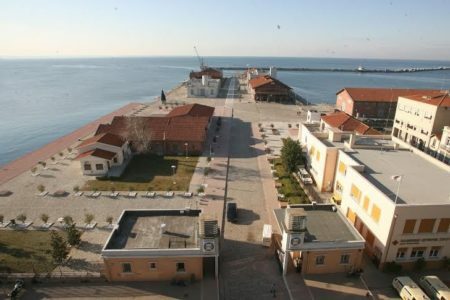 The suspects were led before the prosecutor in city of Igoumenitsa.